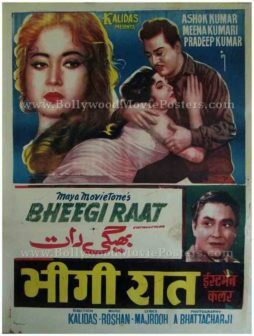 Old Bollywood movie poster of the hit Hindi film, Taj Mahal (1963) for sale. 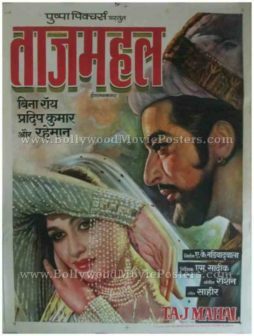 This is an actual surviving old Bollywood poster for sale of the 1963 Hindi film that was based on the life of Mughal emperor Shah Jahan (who built the Taj Mahal in fond remembrance for his beloved wife Mumtaz Mahal). 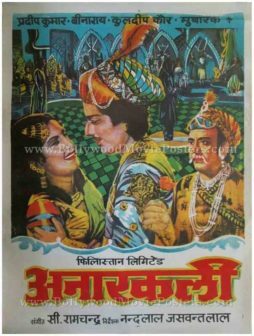 Taj Mahal was a hit and is counted as one of the most memorable historical films made in Indian cinema, making this old Bollywood poster highly collectible! 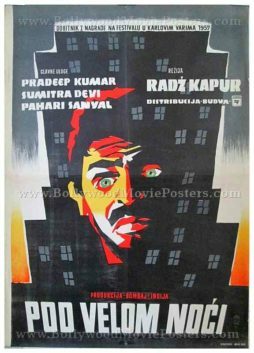 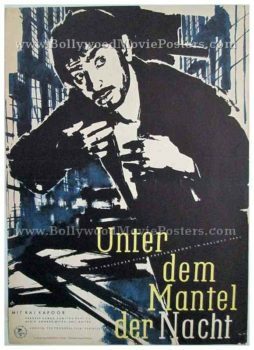 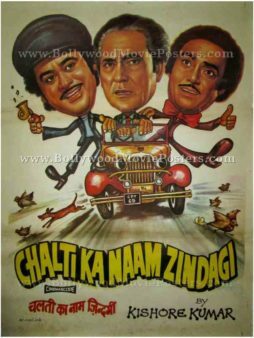 Printed and circulated a few years after the first release run of the film (late 1960s), this old Bollywood poster for sale was originally designed for publicity of the film but never ended up being used. 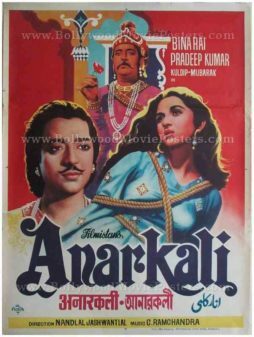 This old Bollywood poster for sale features stunning hand painted artwork. 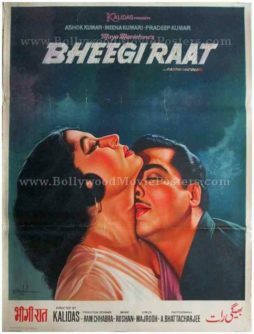 Originally hand painted on canvas by a leading Bollywood poster painter, this old Bollywood poster features the lead couple Pradeep Kumar and Bina Rai in astounding realism and detail. 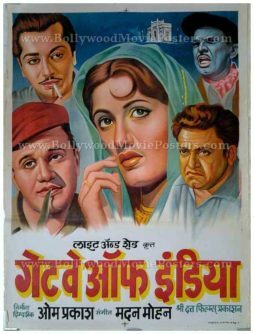 The soundtrack of Taj Mahal was a stellar success. 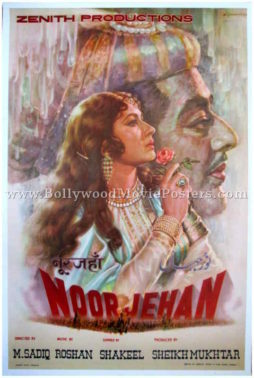 Songs from the film, particularly “Jo Wada Kiya Wo” are fondly remembered and played till today.